Obituary for Richard L. Engelhardt | Doolittle Funeral Service, Inc.
Richard L. Engelhardt, 68, of Middletown, died on December 5, 2018, following a long illness. An extraordinary husband, father, and grandfather, Richard leaves a legacy of humor, friendship, and joy. He was born in New Haven on August 23, 1950, the son of Christian and Dorothy Engelhardt of North Haven. After graduating from North Haven High School, Richard earned a degree in Psychology from Tufts University. 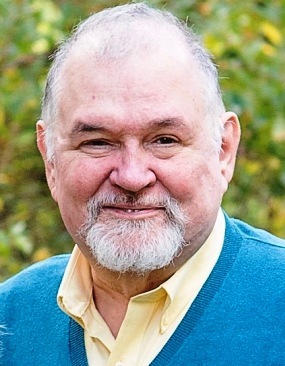 He achieved a Master’s Degree in Social Work from the University of Connecticut and began a rewarding career as a clinical social worker and family therapist, with practices in Southington and Middletown. He was an adjunct instructor at Southern and Central Connecticut State Universities, Wesleyan University, and UConn. He retired in 2017 after 40 years of counseling patients. In 1976, Richard married Susan Rashba, of Hamden. They moved to Middletown, where they raised three children and enjoyed 42 happy years of marriage. Richard was an amazing family man. He and Susan created a joyful home where all birthdays, anniversaries, and milestones were celebrated. He was beloved as Papa to his six grandchildren, whose lives he filled with laughter and song. Richard was a skillful musician able to play many instruments, excelling at the guitar and trombone. He had a rich baritone voice and loved to perform in church and folk concerts. He composed several original works, including music played at the weddings of all of his children. Richard was also a sports fan, especially of UConn men’s and women’s basketball and the Boston Red Sox. He enjoyed carpentry and loved to read, especially science fiction and fantasy novels. He was a respected member of the communities where he lived and worked. A man of great faith and spirituality, he provided comfort to hospice patients in Cheshire and was a leader in several church-related activities. Richard is a former president of the Middletown chapter of Habitat for Humanity and a counselor for veterans returning home from war zones. He advocated for progressive causes and politics, and possessed a wicked wit and sense of humor. In addition to Susan, Richard is survived by his children and their spouses - Jason and Katrina Engelhardt, of Madison; Matthew and Megan Engelhardt, of East Hampton; and Katie and Jared Pinkus, of Cheshire; grandchildren Zoe, Kayla, Silas, Hannah, Norah, and Lydia; a brother, George Engelhardt, of Hamden; his father-in-law, Norman Rashba, of Hamden; several nieces and nephews; and countless friends. Richard’s family will hold receiving hours on Saturday, December 8, from 4-6 p.m. A celebration of his life will take place on Sunday, December 16, at 2:30 p.m., followed by a reception where guests are encouraged to share their stories and memories of Richard. All festivities honoring Richard’s life will be held at First Church of Christ, 190 Court Street, in Middletown, where Richard was a member for decades. In lieu of flowers, please donate to Doctors Without Borders or to First Church of Christ. To share memories or send condolences to the family, please visit www.doolittlefuneralservice.com.